ESET Ireland has been closely following the cyberattacks against Irish businesses with ransomware like Cryptolocker, which encrypts data and requests a ransom to unlock it. In the past week, law enforcement has been successful in combating the cyber gang behind the attacks. Security specialists at ESET Ireland have received reports from Westmeath, Wexford, Waterford, Galway, Donegal, etc, mainly from SMBs with an average of 15 computers each that have been hit by ransomware in the past months. What most of the affected companies had in common was that they had poor security and partial or no antivirus software in place, which is all the cybercriminals need to infect a single computer, which then spreads the infection across the network, locking all the company’s files until a ransom is paid. (Note that all ESET products have been detecting and removing this malware since 2012 with detection name Win32/Spy.Zbot.AAU, as described by our Virus Radar). 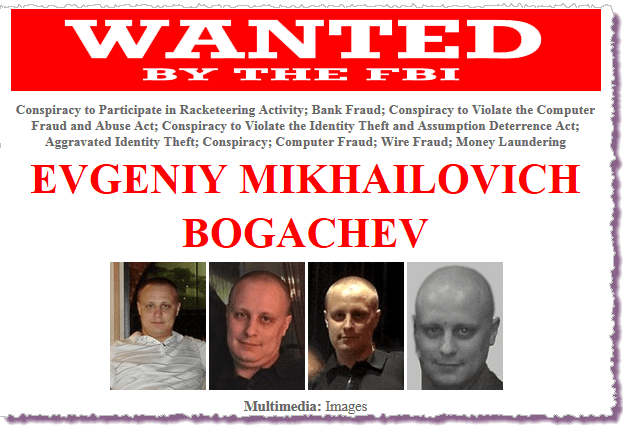 Most of these attacks were carried out by a gang of cyber criminals based in Ukraine and Russia, that was responsible for the development and operation of both the GameOver Zeus and Cryptolocker schemes and its leader Evgeniy Bogachev has now been added to the FBI’s Most Wanted list for cyber criminals and is now facing 14 criminal charges. What is clear from these accounts is something we at ESET have been saying for a long time: cybercrime is evolving on an industrial scale with the intent to make money off people who rely on computers in their business and daily lives, with no regard to the pain and suffering these crimes inflict. According to the FBI, losses attributable to GameOver Zeus are “estimated to be more than $100 million.” That does not include the opportunity costs of protective and corrective measures, nor the drag on productivity that cybercrime at this scale imposes.